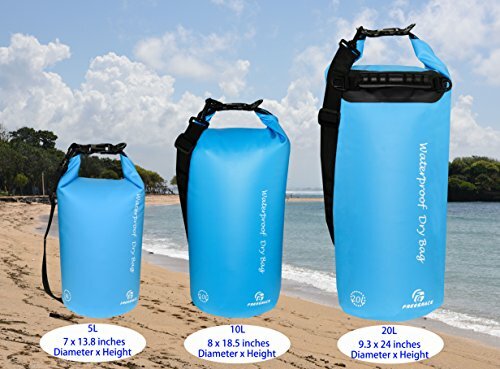 WATERPROOF DRY BAGS SET OF 3 BY FREEGRACE - DRY BAG WITH 2 ZIP LOCK SEALS & ..
✔ GET A PRACTICAL WATERPROOF POUCH FOR YOUR SMALL ITEMS: Along with the kayaking and boating dry bag, you will receive an amazing waterproof opaque black pouch (9.0″ X 6.7″) which is ideal for storing your wallet, cash, keys, credit cards and more in order to keep them 100% Safe and Float! The adjustable waistline (fits sizes: 33.5″ – 47.5″) makes it incomparably versatile, allowing you to wear it as a waist pack, cross-body bag, or shoulder bag. 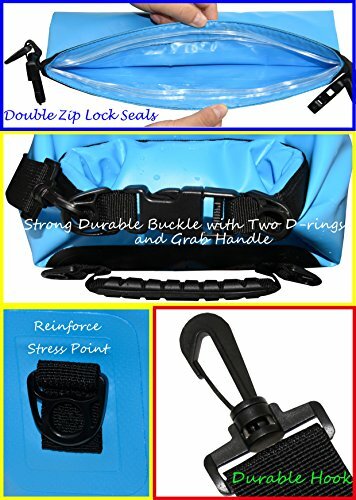 ✔ PROTECT YOUR CELL PHONE AND MAKE THE MOST OF YOUR WATER SPORT ACTIVITIES: This set also includes a must have IPX8 Certified Waterproof Phone Case (3.9″ x 6.7″). 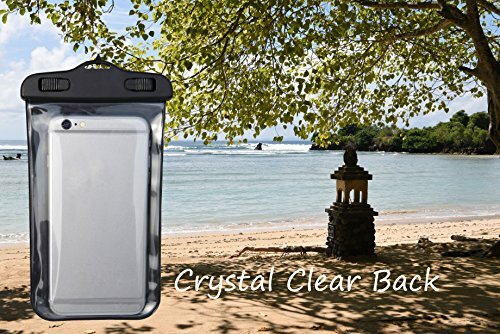 This amazing dry cell phone case features a very simple snap and lock access that has dual-sided clear windows that allow you to text, talk on the phone, take pictures and video while still inside the case. Suitable for phones up to 6.5 Inches of diagonal screen size. Make The Most Of Your Outdoor Activities And Keep All Your Stuff Perfectly Protected From Water Thanks To The Ultimate Waterproof Dry Bags Set! Following an active lifestyle and doing outdoor activities such as kayaking and rafting can be incomparably exciting! However, water can literally ruin your cell phone, camera or wallet. 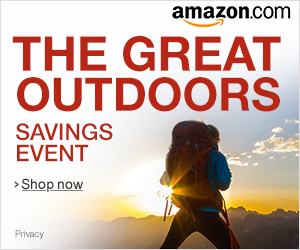 If you have been looking for an effective way to keep all your personal belongings dry no matter what extreme water activity you do, your quest stops here! 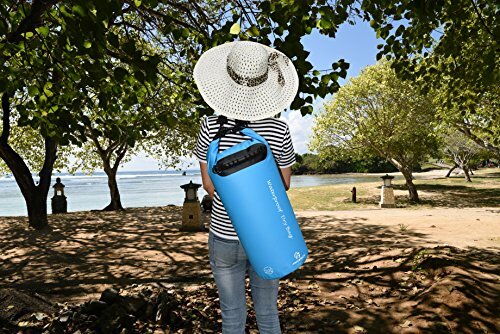 The Freegrace outdoor dry bag set for swimming and camping is exactly what you need. This top notch set includes the best waterproof dry bag for snorkeling, kayaking and any water sports. 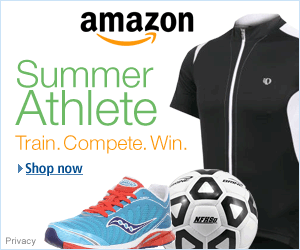 It is made of 500D Tarpaulin that makes it extremely sturdy, lightweight and tear resistant. It features double closure strip seals that make it two times safer than ordinary roll top dry bags. Last but not least, it has an adjustable, detachable shoulder strap that allows you to effortlessly carry it. 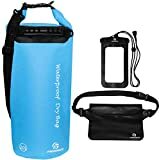 This scuba and kayak waterproof dry bag will keep your things dry even if you submerge it into water! 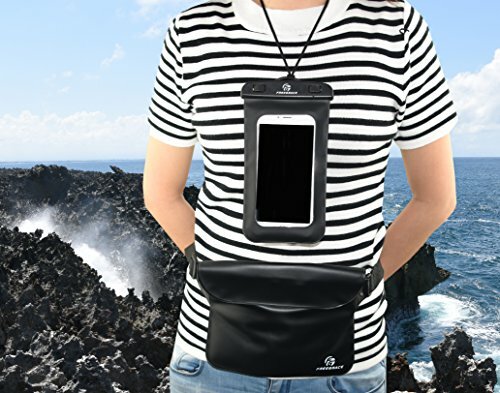 Along with the boating waterproof bag, you will receive a waterproof waist pouch that features an adjustable 33.5-46.85 inch waist line, allowing you to wear it as a waist pack, a cross-body bag, or even a shoulder bag. 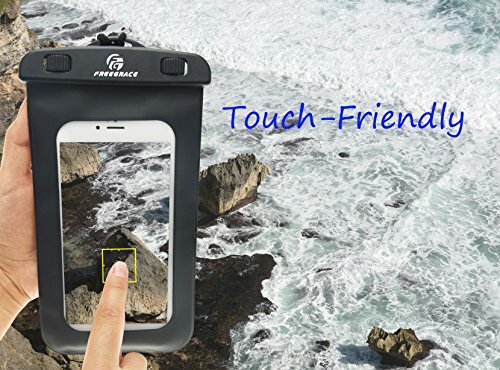 Furthermore, you will get a practical waterproof cell phone case that is made of flexible and durable material. It can fit an iPhone 8 plus, it is touch screen friendly and the transparent window allows you to take pictures and videos while you have it on. Microfiber Beach Blanket/Outdoor Picnic Blankets (64 x 76 inches) XL Beach Towel – Fits Two – Corner..
U.S. Divers Icon Mask + Airent Snorkel Set. Easily Adjustable Snorkeling Set for Adults (One Size Fits..
Campingandkayaking CYBER WEEK SALE! MADE IN THE USA! Paddle Leash with a 2 Rod Leash Set, 3 Leashes To..